Most of us use mushrooms, those little brown or white fungi, primarily as an accent in cooking. They might appear in salads or sautéed dishes, but they rarely take a starring role. Too bad, since mushrooms are loaded with health benefits. Researchers have identified several compounds in mushrooms that can significantly improve your health. For example, studies at the Beckman Research Institute in Duarte, California have found that mushrooms contain conjugated linoleic acid (CLA), which has been shown to reduce the risk of certain types of cancers associated with high estrogen levels. 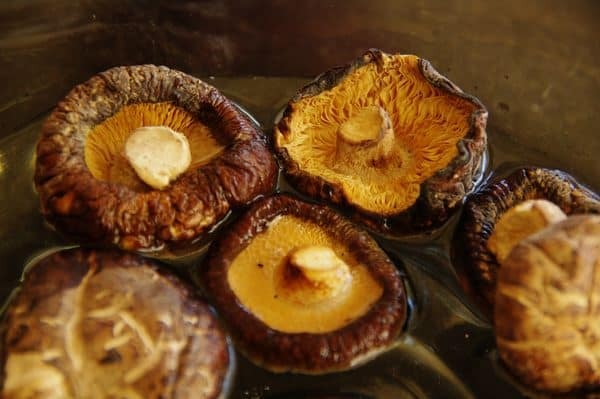 Another study found that crimini and button mushrooms can reduce or prevent inflammation, which can contribute to the development of type 2 diabetes, heart disease and some cancers. A study from Pennsylvania State University found that mushrooms are loaded with the antioxidant, L-Ergothioneine, which is known to scavenge free radicals, reducing cell damage and slowing aging. In fact, mushrooms contain up to 12 times more L-Ergothioneine than chicken or wheat germ, two foods previously lauded for their high antioxidant content. Mushrooms have also been associated with weight loss. You can substitute mushrooms for meat once a week to reduce calories significantly. But aside from using them as a meat substitute, adding mushrooms to your diet has been shown to help increase metabolism and reduce weight. Button mushrooms are still the most common, and usually the most economical, as well. They have a mild, delicate flavor and are suitable in almost any dish. They have also been found to be one of the best mushroom varieties for reducing inflammation. Crimini mushrooms are similar to button mushrooms, but they are brown and have a more robust flavor. Use them as you would button mushrooms. Portabella mushrooms are large mushrooms with a dense texture and meaty flavor. Grill them whole or chop them up to add to casseroles and pasta dishes. Enoki mushrooms are slender, elongated mushrooms with a crisp texture and delicate, sweet flavor. They are best used fresh, added to salads or sandwiches. Oyster mushrooms have a clustered form and a delicate flavor. Saute them in butter or add them to pasta dishes. Shiitake mushrooms have a rich, earthy flavor and meaty taste. They are often used dried, but are delicious fresh, as well. Chanterelles appear in stores in the fall and are favored for their yellow color and intense flavor. 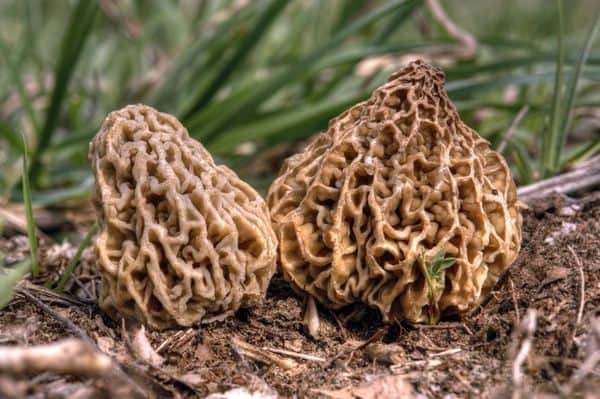 Morel mushrooms have a spongy appearance and delicious flavor. They are among the most expensive mushrooms, but their intense flavor goes a long way. When buying mushrooms, select those that are plump, smooth and dry, but not dried out. They should have a subtle, earthy aroma. A strong smell indicates decay. Store mushrooms in the original container for up to one week. Before using them, brush any dirt off and wash them quickly under water. They absorb moisture, so don’t soak them. To use all those delicious mushrooms, we’ve gathered a few of our favorite mushroom recipes. Enjoy the health benefits of mushrooms today. For a hearty side dish or even a main dish, try Braised Green Beans with Ham and Mushrooms from Fine Cooking. The rich flavor of the mushrooms and ham pairs perfectly with fresh green beans. The nutty flavor of wild rice and barley is a wonderful foil for the rich, earthy flavor of mushrooms. Serve Multi-Grain Mushroom Pilaf from Eating Well for a quick side dish. Rich, creamy and satisfying, Mushroom Risotto from Simply Recipes is a delicious side dish or light main dish. Round out the meal with a green salad. Eating Well’s Mushroom, Spinach and Sausage Lasagne has one-third the fat and half the calories of a traditional lasagna, but never skimps on flavor. Whole-grain noodles give an extra boost of nutrition. Try Ina Garten’s recipe for sautéed mushrooms as a stand-alone dish or serve them over buttered noodles or even a grilled steak. Delicious! How about a dish that combines the health benefits of salmon with mushrooms? Try Braised Salmon in Pinot Noir from Fine Cooking. This elegant but simple dish is fast enough for a weeknight meal, yet special enough for company. Carrots, mushrooms and onions combine with a sweet wine for a subtle dish. For quick and healthy Asian appeal, try Almond Chicken from Food.com. This recipe is loaded with vegetables, including mushrooms, water chestnuts and snow peas. Mushrooms pair with leeks in Mushroom Casserole, for a simple, vegetarian meal from Food Network. Learn more about mushrooms, nutrition and weight loss. Nutrition Facts writes about the anti-inflammatory benefits of mushrooms, and the best varieties. This clinical trial tested the abilities of mushrooms to help with weight loss. The Los Angeles Times blog covered the subject of losing weight with mushrooms. Self has a terrific nutritional information page about mushrooms.